Well, it's not really goodbye! But it sort of is... Let me explain. The original idea for this blog was that I would run it alongside my original blog, stasialikescakes, with bookish posts here, and everything else there. That didn't work out so well. What actually happened was just that I posted here quite often and all but stopped posting there. This was not the plan but I'm sure many people could have seen it coming. Over the past month or so I've been thinking about how I use these blogs and I've finally come to a decision, which is that I want to go back to having stasialikescakes be my one and only blog. 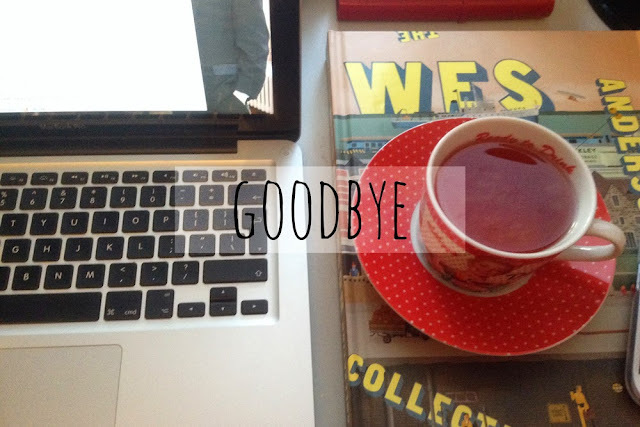 So, it may be goodbye to stasialikesbooks the blog, but it certainly won't be goodbye to Stasia liking books! I'll just be liking them somewhere else. I like the picture! And I think it's a good idea to consolidate the two blogs too.